With the countless distractions we now face on a daily basis, it is easy to understand why people give up sleep first in order to do more in life. 24 hours each day simply is not just enough anymore for us to pursue what we like to do most. Both young and old are affected, it does not discriminate. 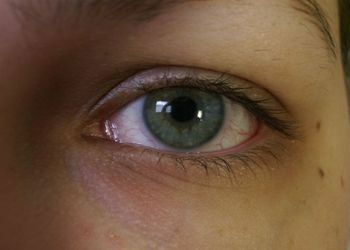 Dark under-eye bags are no longer uncommon and people often complain they lack sleep but does not seem to be doing anything about it. It is high time we think of sleep as no longer a luxury but as a necessity that it really is. We sleep for a lot of reasons and that is what nature designed it to be. It is not up to us to decide whether we need it or not because your body will ask for it every day without fail. It is the only respite you can offer your tired body after a long day at work or at school. At times, there is not much you can do to save yourself and your sanity from the hassles and struggles of daily life apart from allowing yourself to temporarily say goodbye to the world when you close your eyes in slumber. Yet what most of us do? We consciously and willingly give up sleep because the lure of modern living is just irresistible. Smartphone use has bordered to an addiction and it is common knowledge already yet most of us aren’t worried about it at all even if young kids and toddlers are now hooked to smart gadgets as well. For a lot of people, getting a good night’s sleep and feeling well rested throughout the day is an indulgence. With busy workdays and inconsistent sleep schedules, it is no wonder people struggle with tiredness and other serious health concerns stemming from sleep deprivation. Roxanne Brooks is a Registered Holistic Nutritionist and Adult Sleep Coach who consults out of the CanSleep clinics, a medical consulting company that provides treatments for sleep-related disorders and specializes in sleep apnea. Brooks, who works by referral from the Clinical Therapists, said there are several things that people do throughout the day that affect their sleeping habits, both in positive and negative ways. She suggested that the time at which you exercise, have your last coffee, or watch TV can drastically affect your sleeping habits and overall quality of sleep. When we say that there is a sleep epidemic, we are just stating facts and not making assumptions. This is a widespread sleep disaster as the boundaries between day and night are fast being blurred by modern conveniences and contrivances. After all, it is a common practice already for people to check their phones soon after arising and then the last thing they tinker with before retiring for the night. As if these modern addictions aren’t enough, life in itself is stressful with the daily traffic to and from school and work, the multitude of chores and tasks we all have to finish, and the inconsistent sleep patterns we have to deal with every single day. No wonder sleep clinics are growing in popularity as more and more people report sleep-related issues but getting treated is no joke, as well as appointments in these facilities, don’t come cheap. Sleep is supposed to be a recuperative process and it has not changed over the years despite all the changes in our surroundings and lifestyle. The more we neglect our sleep, the higher the risk of contracting chronic and debilitating conditions as we continue to deny our body the chance to recharge and heal itself from the strain and tension it had to endure for the day. While sleeping normally and healthily is such a challenge now, it is still possible and doable. Don’t throw in the towel just yet because all you need is your sheer will and determination and you’ll be able to overcome any struggle even if it means you need to set turn off your phone as soon as the click hits your bedtime. Meanwhile, it is a different story for those with diagnosed sleep disorders because there are things happening to your body that is beyond your control. For instance, sleep apnea patients face a lot of dangers every time they close their eyes for the night. 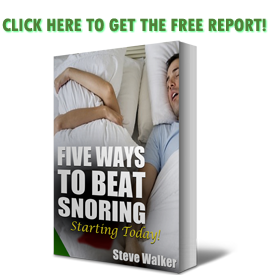 Anti-snoring mouthpieces such as https://snoringmouthpiecereview.org/zquiet and https://snoringmouthpiecereview.org/snorerx may not be the ideal management but they are helpful enough in addressing sleep apnea while at the same time curbing the annoying snoring sound individuals suffering from sleep apnea often make.